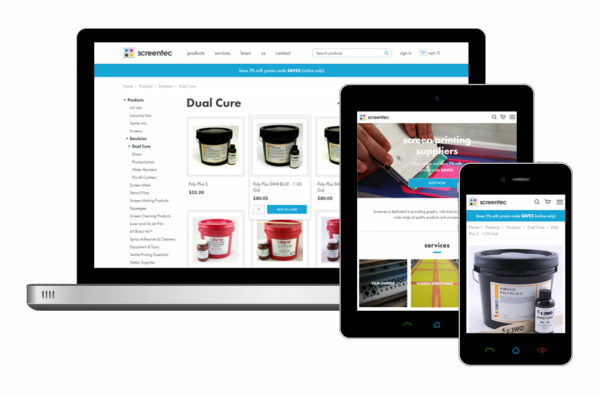 Screentec is a family-owned business that provides a broad range of screen printing equipment, products, and services to hobbyists, small screen printers, and large screen printing businesses in Canada. Screentec’s newly redesigned website has a clean, modern theme, and it is fully responsive and optimized for all types of devices and resolutions. The redesign also included improvements to the speed of the website and an upgrade to their checkout system. Customers are now able to process coupons with ease and use a shipping estimator before proceeding to the checkout section. Visit their new website and share your thoughts with us by commenting below.